What are the key capabilities and benefits of SharePoint? Can I use SharePoint for PLM? 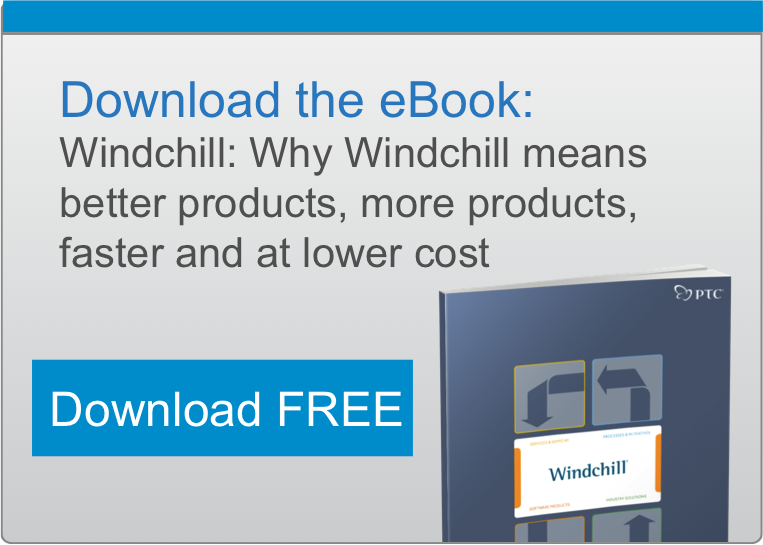 What are the key capabilities and benefits of Windchill ProductPoint? Why did PTC develop Windchill ProductPoint? What types of companies are target users of Windchill ProductPoint? Is Windchill ProductPoint a Pro/ENGINEER data management solution like Pro/INTRALINK or Windchill PDMLink? Is Windchill ProductPoint an alternative to Pro/INTRALINK or Windchill PDMLink? Is Windchill ProductPoint part of PTC’s Product Development System? Is it integral? When is Windchill ProductPoint available? How much will Windchill ProductPoint cost? SharePoint, specifically Windows SharePoint Services (WSS), is Microsoft’s technology infrastructure for collaboration and social computing. It is a ready-to-use application, but also a technology platform for the development of Web-based applications such as Microsoft Office SharePoint Server (MOSS). WSS is bundled with Windows Server. Microsoft positions WSS, the base SharePoint offering, as a team-based collaboration environment that enables users to create workspaces and then author, publish, store, share, and keep track of information. WSS also supports creative forums such as blogs and wikis, and offers integration with and offline synchronization through Outlook. Microsoft Office SharePoint Server (MOSS) is a secondary offering that enhances WSS to enable it to act as a document management system for Microsoft Office user communities, adding portal, content management, search, business process and forms, and business intelligence capabilities. Microsoft touts SharePoint’s easy-of-use, rapid deployment, and low total cost of ownership as its key benefits. SharePoint, by itself, is not very effective as a PLM solution since it is based on a simple model of individual data files. Unfortunately, the complex file structures and configurations which are at the heart of mechanical and electrical CAD systems as well as technical documentation tools and other applications related to product development are not understood by SharePoint, so most product developers will find that SharePoint does not work well with the core product development tools they use each day. Of course, SharePoint offers none of the more advanced PLM concepts like bill of material (BOM) management, configuration and change management, component and supplier management, or visualization and digital mockup, and many others. Analogous to how MOSS enhances WSS functionality to meet the document management requirements of more sophisticated Office users, Windchill ProductPoint enhances Microsoft SharePoint with richer capabilities to enable teams to manage and share complex and structured product development information. Examples of complex structured data common in product development include MCAD, ECAD, technical publishing, embedded software, and math and simulation tools. Product visualization capabilities to display thumbnails of CAD content, and allow non-CAD users to view and markup CAD data within a simple web browser. Windchill Portlets for SharePoint and Windchill PLM Connector are optional capabilities that create a tight bi-directional integration with Windchill; Portlets expose Windchill information in SharePoint and Windchill PLM Connector is used to exchange data with Windchill in a way that respects configuration management principles. Concurrent engineering and data reuse enabled by vaulting and versioning of CAD data, which offers advantages over network drive-based storage systems and FTP sites. Minimal learning curve, and rapid deployment due to familiar Microsoft environment. The ability to complement existing implementations of Windchill product lifecycle management solutions. Given the ubiquitous availability of SharePoint, many companies of all sizes are standardizing on SharePoint as a collaboration backbone broadly across their enterprise, with usage ranging from legal and finance to sales and marketing departments. However, due to the natural complexity of engineering data which surpasses the capabilities of SharePoint, these same companies are struggling to get value out of SharePoint in their product development processes. PTC developed Windchill ProductPoint in order for organisations to obtain enhanced value from their SharePoint implementation, making it a viable technology platform to support product development. Smaller companies may find that Windchill ProductPoint, inclusive of SharePoint, will directly meet their simpler needs for capturing, managing, and sharing product development information. Larger companies typically have far more advanced needs and thus will continue to benefit from the advanced capabilities of Windchill for core PLM, but will be able to extend the utility of Windchill into the SharePoint world via Windchill ProductPoint to better accommodate the broader enterprise’s desired use of SharePoint. Windchill ProductPoint is tightly integrated to Pro/ENGINEER, and offers basic capabilities to capture and manage Pro/ENGINEER and other CAD formats. In aligning with Microsoft’s strategy of keeping things simple, PTC has not attempted to fully replicate the advanced capabilities of Pro/INTRALINK or Windchill PDMLink in Windchill ProductPoint. Current users of Windchill PDMLink or Pro/INTRALINK would generally not consider Windchill ProductPoint to be an alternative to those products, but smaller companies who have no data management solution today or are just getting started with Pro/ENGINEER may find Windchill ProductPoint to be a great solution to get started with, knowing that as their needs grow, they have the option of complementing Windchill ProductPoint with the more powerful capabilities of Pro/INTRALINK or Windchill PDMLink. PTC sees Windchill ProductPoint as an integral component of its Product Development system. While SharePoint uses a different technology stack than core Windchill, the true meaning of “integral" is “engineered to work together" and not necessarily “homogeneous." By connecting the broader world of SharePoint into the complex world of product development uniquely served by Windchill via Windchill ProductPoint and Windchill PLM Connector, PTC is giving smaller companies a simple PDS starting point, while simultaneously giving larger companies the ability to extend their PDS deployments to ever broader user communities. Windchill ProductPoint is currently available. The next version, Windchill ProductPoint 1.1 is expected to ship at the end of August 2009 (timing is subject to change at PTC’s discretion). Please consult your PTC sales rep or reseller for pricing information. Is Windchill ProductPoint similar to Windchill ProjectLink? How will PTC differentiate these products going forward? While there are certain similarities between Windchill ProductPoint and Windchill ProjectLink in terms of being able to share files and information across distributed teams via collaboration workspaces, there are also important differences. For example, Windchill ProjectLink is built on the same server as Windchill, shares a common database and look and feel with Windchill PDMLink, and thus is a natural extension to a Windchill deployment. Adding Windchill ProjectLink to Windchill PDMLink will continue to be a simple and cost effective option for Windchill PDMLink customers, especially those lacking a mandate to adopt and use SharePoint. Windchill deployments will not require the use of Windchill ProductPoint or SharePoint to deliver compelling value to their user communities. Will PTC offer Windchill ProductPoint consulting services? For customers that want help getting started with Windchill ProductPoint, both PTC and its resellers will offer consulting services. However, we expect the need for such services to be limited given the inherent simplicity of Windchill ProductPoint and the underlying SharePoint technology.